Find motels in Carlsbad, CA and other fun things to do. View our list of attractions, activities, events, restaurants and visitor information. Ten minutes from both Carlsbad State Beach and Legoland the pet-friendly Motel 6 Carlsbad South is a find for our guests looking for affordability and convenience.Outdoor Pool, Pets Allowed, Non Smoking Rooms. 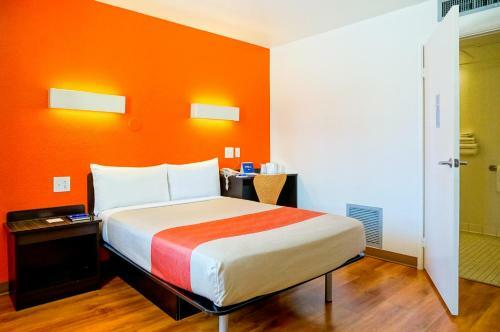 Low-priced rooms and an I-5 location near Legoland and the ocean are just some of the good reasons for our guests to stay at Motel 6 Carlsbad Downtown. This Motel 6 has 80 budget-priced rooms on two floors with interior and exterior corridors and no elevator. Pets Allowed, Non Smoking Rooms. Pet-friendly Motel 6 Carlsbad East is just the ticket for our guests looking for economical lodging in northern San Diego County. This 142-room motel on two exterior access floors offers rooms with Wi-Fi for a small fee plus cable TVs work desks and free local calling.Outdoor Pool, Pets Allowed, Non Smoking Rooms. An outdoor pool value rates and a welcome for pets make Motel 6 Temecula within a 10-minute walk of downtown a budget-wise choice for our guests.Outdoor Pool, Pets Allowed, Non Smoking Rooms. Located five minutes' walk from the beach the Scandia Motel is located in the coastal town of Carlsbad 12 minutes' drive from LEGOLAND. All guest rooms offer free WiFi.Featuring lagoon views rooms have a TV with cable channels. Free Internet, Non Smoking Rooms. Currently as low as $61.70/night! Situated in El Cajon within 4.4 km of Grossmont College and 2.3 km of Parkway Plaza Shopping Center Villa Serena Motel provides accommodation with a casino and free WiFi. The property is located 6 km from Water Conservation Garden. Free Internet, Non Smoking Rooms.